Step back in time and enjoy a relaxing train ride through the Lehigh Gorge for 25 miles, then pedal your bike back down to Jim Thorpe at your own pace along the Lehigh Gorge Rail-Trail, all part of our bike train. 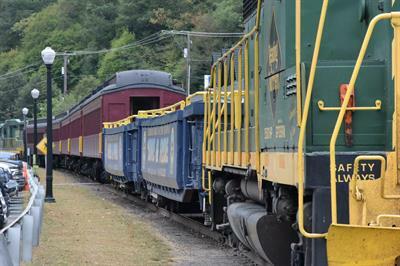 Your day begins in Jim Thorpe where you & your bike will board the Lehigh Gorge Scenic Railway for a one hour ride as the train swings onto the former Lehigh Valley main line and passes Glen Onoko, the southern gateway to the Lehigh Gorge State Park. 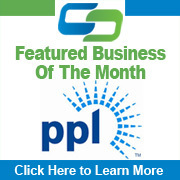 While you sit back, relax and take in the outstanding scenery, the train will follow the winding Lehigh River for 25 miles, rounding curve after curve until you reach the village of White Haven. 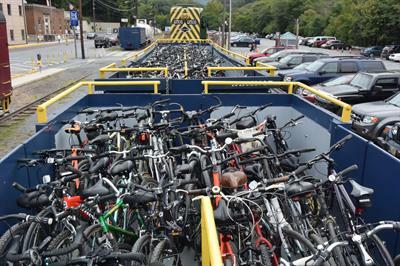 Here you and your bike will be dropped off at the Lehigh Gorge trailhead. 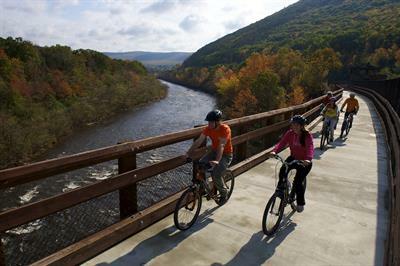 Once at the trailhead, pedal at your own pace down the Lehigh Gorge Rail-Trail for 25 miles back to Jim Thorpe. 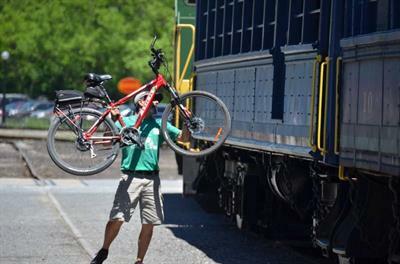 Along the way, you’ll pass canal remnants, swim spots, scenic overlooks and railroad trestles. Remember your camera. The many sparkling waterfalls provide great photo opportunities.